Posted on February 17, 2017 by Matthew Leib. This entry was posted in Faculty Friday, Spotlight and tagged Faculty Friday. Bookmark the permalink. To deliver the perfect presentation, prepare to embrace your mistakes. It’s a hang-up Essington acknowledges hampers academics of all disciplines, but says can plague scientists in particular for whom careful self-editing and rigorous cross-checks benefit lab- and field-work, but often work against researchers when speaking publicly or in lecture settings. Essington wasn’t always so at ease. “I was one of those people who didn’t want to make a mistake in front of people,” he says, adding that when he first started taking improv classes at the urging of his wife, who had attended a conference where she’d seen improv used as treatment for anxiety, he would dread going. But after just a few classes, he began to sense a change. And it wasn’t on-stage at Fremont’s Atlas Theater, but in the lecture hall. He found himself becoming a better listener with improved attention span. He took a second class. Then a third. The more he practiced and performed, the more connections he found benefitting his communication in the classroom. One night after a practice, he was chatting with improv instructors Alex Grindeland and Dave Bogan at CSZ Seattle about workshops they were developing and hit upon the idea of devising one for science communication. Working together in the evenings, the trio outlined a structure of games and activities for scientists with Essington providing guidance on key takeaways. After offering the class twice at the theater, soliciting feedback, and gauging the level of interest among participating students, Essington approached the College of the Environment, who approved a five-week course on campus. More than 40 graduate students applied for 20 open spots. For his part, Essington takes a back seat to the instructors during each two-hour class session. He casts his role as that of an interpreter—helping students establish the connections between what, in the moment, can seem bizarre, and then apply those lessons from a scientific perspective. Scientists hesitant to step into the no-holds-barred world of improvisational theater are usually surprised at what they find once they do. A closer look reveals Essington’s course to be a laboratory all its own—a place where scientists can conduct bold experiments in a controlled environment. Much like in science, the focus is on process, but unlike in science, the outcome is of less consequence. However, that doesn’t mean the results aren’t there. Essington records students at the beginning and end of the course delivering what he describes as a “one or two minute lightning talk.” In comparing one talk against the other, students come to realize how much information can be conveyed independently of words. It’s a connection that proves electric, no matter the stage or setting. The same could be said of science. It’s wonder at the unknown that first attracted Essington to marine research. Growing up in Detroit, Essington and his family would spend holidays in Canada on the shores of Georgian Bay. With more than 30,000 islands, the sheltered stretch of Huron’s northern shore constitutes one of the largest freshwater ecosystems in the world. Essington would go on to completed graduate work in freshwater systems, conducting population modeling work on lakes before applying it to tuna fisheries in the central Pacific as a post-doc. 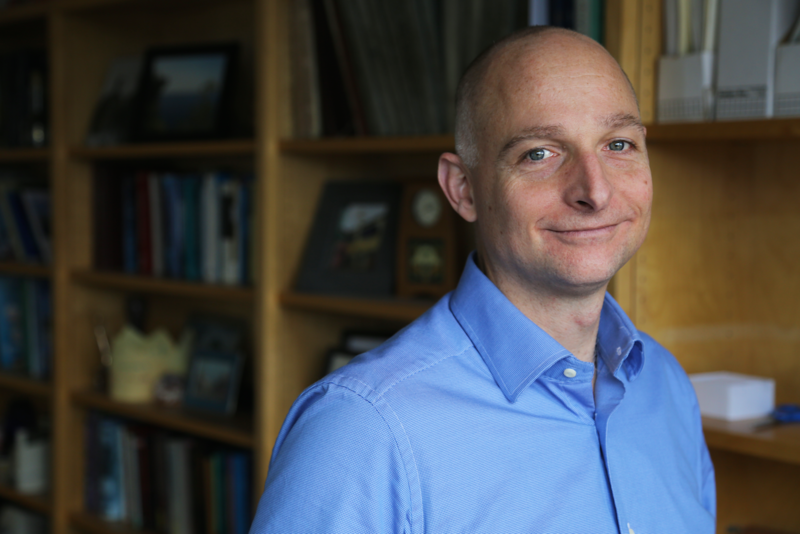 Working as an assistant professor at Stony Brook University’s Marine Sciences Program, he learned of an opening for a Marine Fish Ecologist at the UW. In addition to the craggy inlets of the Puget Sound and the watery expanse beyond, it’s the diverse and interwoven ecosystems at the UW Essington finds so rich. Essington’s own research at the School of Aquatic and Fishery Science applies principles of how ecosystems work to derive better conservation and management outcomes for marine life. In a simplified sense, it tackles the question: how can we have our fish and eat them too? He explains that where there are rules and structures in place that dictate actions in response to conditions, “you end up doing a pretty good job” of managing marine populations. However, the specter of climate change stands to alter all that. As water temperatures rise and seas acidify, stretches of ocean are rendered inhospitable, spelling drastic changes in populations’ movements and behavior. In addition to other projects, including one on how to maximize corals’ ability to adapt to changes in pH and CO2 levels, Essington is one of two UW professors leading efforts to help U.S. fisheries consider the larger marine environment when managing a fishery, not just a single species. He traveled to Washington D.C. in November to present what he calls “a blueprint” for the future of fisheries ecosystem plans. But Essington is confident in his ability to respond to unknowns—whether modeling populations of fish deep in the Pacific or the actions of fellow improvisers on stage. It’s about surveying the broader context, acknowledging the other players, and realizing we’re all in it together. Tim Essington holds a B.S. in Biology from University of Michigan, a M.S. in Fisheries from the University of Minnesota, and a Ph.D. in Zoology from University of Wisconsin.